Mayfield showed the Browns his potential in a near perfect game against the Falcons. The rookie out of Oklahoma completed 17-of-20 passes for 216 yards and three touchdowns. "When I woke up this morning, I was feeling pretty dangerous," Mayfield said during the post game press conference. "I just woke up feeling really dangerous." Former Oklahoma Sooners signal-caller Baker Mayfield was named the AFC Offensive Player of the Week for his performance against the Atlanta Falcons on Sunday afternoon. Offensive coordinator Freddie Kitchens gave Mayfield his full trust and it was evident in his play calling. 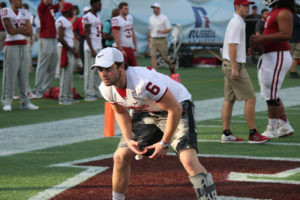 After a successful goal line stand in the fourth quarter, Kitchens called a passing play for Mayfield despite being on the team's own one-yard line. Mayfield, like he did all game, didn’t disappoint as he fired a pass on a comeback route to Antonio Callaway for a first down. The rookie signal-caller completed all types of passes on Sunday: comeback routes, crossing routes over the middle across his body, check downs, play actions, etc. He completed his first 13 passes to start the game while showcasing the skills to back up his confidence. After watching the film from Sunday, he should continually be given the full playbook to work with. 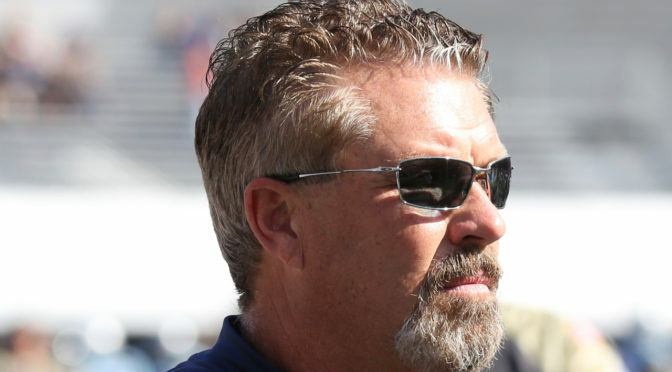 Gregg Williams is known for his aggressive 4-3 defense. 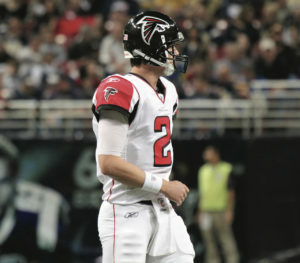 Against the Falcons, his plan of attack was to make the Falcons one-dimensional. Not only did the Browns shut down the Falcons running game (71 rushing yar ds on 19 carries), but they stopped Atlanta’s other receivers not named Julio Jones. Jones caught seven passes for 107 yards and a touchdown but it took him 11 targets and he accounted for more than a third of the offense. The Browns also forced two fumbles and had two sacks on Ryan. The stats might not jump out at first glance, but the intensity was there for Cleveland’s defense, which routinely rallied to the football for gang tackles. Atlanta is 4-5 for a reason. In one week they’re playing well on both sides of the football and the next they can’t get anything going. The Falcons had a three-game losing streak followed by a three-game winning streak and then went to Cleveland and laid an egg. Dan Quinn is in his fourth season as the head coach but despite his experience at the helm, Cleveland looked like the more prepared and better coached team. Defensively, the Falcons linebackers and safeties took bad angles to the football, which was apparent on Nick Chubb’s 92-yard touchdown run. Offensively, the Falcons couldn’t run the football or pass to its second and third receivers. "I told the team I thought we took a step back," Quinn said during the postgame press conference. "That's tough to see and tough to say. I also told them we must regroup. We're trying to fight for consistency, and we certainly made improvement over the last three weeks, and we didn't get the job done." As the playoff picture takes shape, the Falcons will have to find better balance if they want to compete in the NFC.